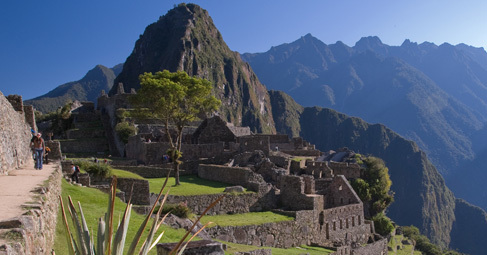 Columbus Travel has the best and widest array of Andean, Ecuador and Peru Tours available. The Andes are the longest mountain range in the world, located in Western South America and along the bountiful highlands are some of the most breathtaking mountains, ancient ruins, and cities nestled in-between. Columbus Travel tours include the Incan Machu Picchu remnants, haciendas in the highlands, colonial cities of Quito and Cuenca, and many more South American highlights located on the Pacific Coast. Here at Columbus Travel, we have the experience, knowledge, and resources to provide you a tour of a lifetime in South America. Our Destination Experts hold extensive knowledge about all Andean Highlights and can even customize your own personal itinerary. Take a look below at the various Ecuador and Peru tours Columbus Travel can organize for your once in a lifetime trip to Latin America and contact us today! 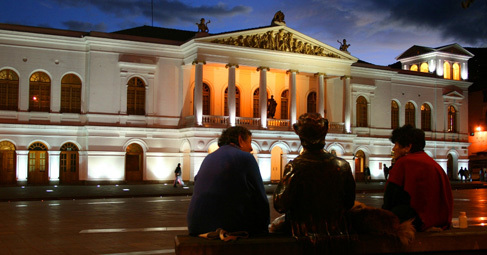 Choose from a great assortment of tours in Ecuador’s largest and capital cities of Quito and Guayaquil. Go on an expedition that will take you across various Ecuadorian regions through the highlands of the Andes, Colonial cities, and warm, sandy beaches of the Pacific Coast. Choose from 8 day, 12 day, or 14 day tours. Choose from a charming list of Ecuador hotels all within the regions of the Andes and Pacific Coast. We've compiled a great list including great accommodations and services for any type of budget you may be working with. Experience the newest 7th World Wonder, Machu Picchu and other fascinating nearby sites in Peru such as Lima and Cusco with 4, 5, and 6 day tours. The Incal Trail is a famous visitor site where you can participate in Peru’s Sustainable Tourism Program or visit Machu Picchu and Cusco on an unforgettable tour that that includes the Sacred Valley of the Incas. The mountains and high plateaus of the Central Andes are a sight you can’t miss when visiting Machu Picchu and Lake Titicaca. Want more Peruvian adventure? Combine your previous tour with our available extensions such as Arequipa, Puno, Puerto Maldonado, Nazca, Paracas, Trujillo, and Chiclayo.